OnePlus is yet to announce any official details about their next flagship device i.e. OnePlus 7 including the official launch date. We have already seen the alleged unofficial renders of OnePlus 7, followed by some case renders of the phone revealing all the design details. Thanks to these leaks, we already have a fair idea of what’s in store with OnePlus 7. These leaks indicate a popup camera design for selfies & video calls while featuring a triple camera module at the rear along with in-display fingerprint sensor and high screen to body ratio display. Today some new images have surfaced in China. 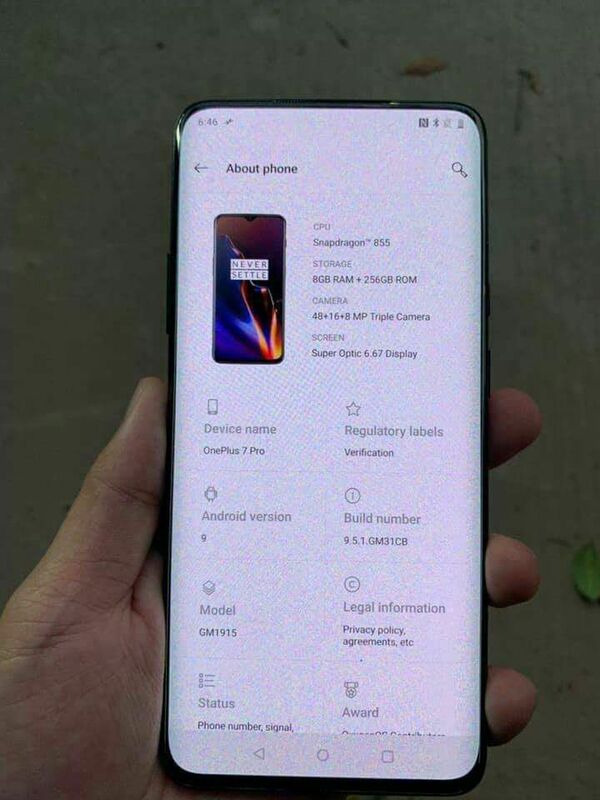 These are alleged real-life images of OnePlus 7 Pro that have surfaced on Chinese social network Weibo that reveal the device itself in Power ON condition and also shows the “About Phone Screen” that reveals the hardware specifications of the flagship device. We can see the full-screen display of the phone with a high screen to body ratio, without any notch and curved edges. To be honest, we are not sure about the authenticity of these images. OnePlus 7 Pro Real Specifications ?? 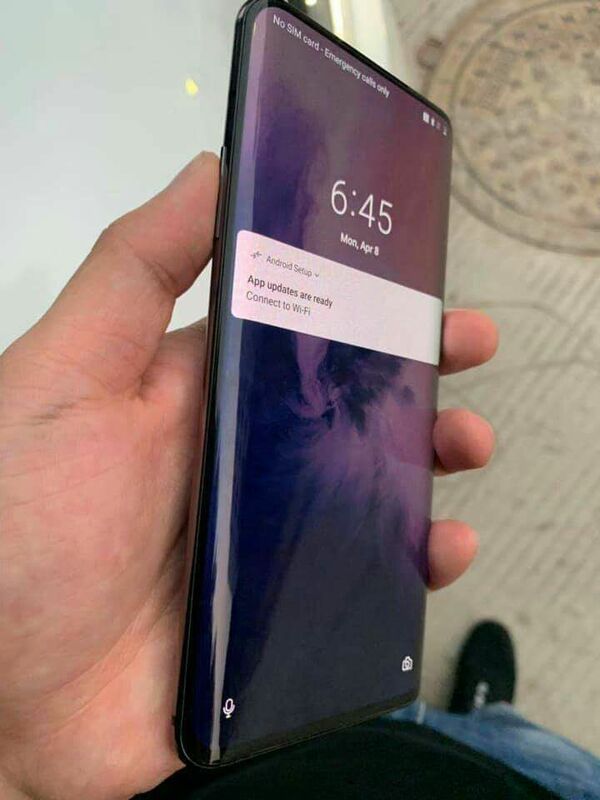 The second image reveals the alleged “About Phone” screen of the device which interestingly indicates the name of the device as “OnePlus 7 Pro”. If true, it suggests more than just one variant of OnePlus 7. The image also indicates that the phone features a 6.67 inch super optic display powered by Qualcomm Snapdragon 855 processor. It comes with 8GB of RAM & 256GB internal storage and runs on Android 9.0 (Pie) based operating system. In terms of camera, it features a triple camera module at rear consisting of camera sensors of 48MP, 16MP and 8MP. It also indicates the model number as “GM1915” which is basically the same model number that we have seen with the Bluetooth certification of a new device from OnePlus. The Model number of “GM1915” appears totally different from the Model numbers of earlier devices from OnePlus, the last one being A6010 and A6013 for OnePlus 6T.